One of the first punches you learn in boxing, this OG sounds simple, but it’s harder than it looks to master the perfect shot. The JAB may not be the blow that ends the fight, but it’s the swift, secret weapon that will get you there. Whether you’re warding off your opponent, closing in on them, or setting up a killer cross, the jab is one of the most used punches in boxing, so refining it is key to help you get the job done. In this 90-minute, technique-intensive WORKSHOP, we’re diving deep into your jab to fine-tune your fundamentals and make sure you’re set up for success in the ring [and/or your mitt videos.] With double the coaches & double the time of a regular workout, expect more meat than a double-double at In-N-Out! …Also, plenty of one-on-one focus mitt time. 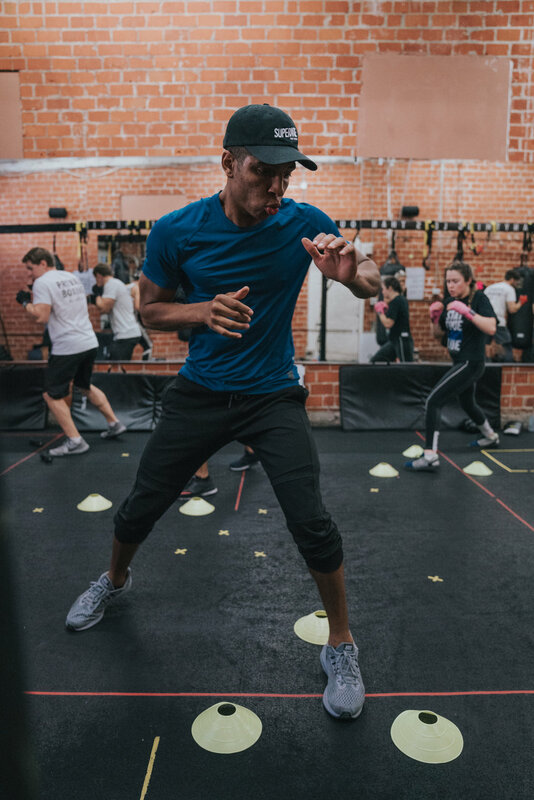 WORKSHOP is designed to complement your SWEAT + SPAR classes perfectly. We’ll supply you with tons of specific feedback to continue in your boxing practice at PRVL. Sign up by visiting our front desk, emailing info@prevailboxing.com, or calling (323) 452-0101.